What happens when a person finds himself in the mid of a financial emergency? The most common answer to the problem is managing a loan (short term or long term depending on the situation). Now, what happens if this is the first time a person is in such a need and applying for a loan through any conventional methods of borrowing in India like banks? The first thing banks check is the credit score of the person, which in turn is dependent on factors like the number of times one has applied for loans and repaid them. 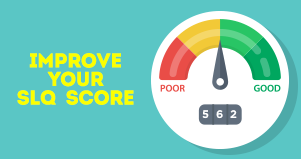 If the credit score is not satisfactory, the loan may get rejected. It sure sounds a little unfair, especially for young professionals who have not had the chance to apply for any loans previously. To bridge this gap, instant loan apps in India in India are emerging fast which calculate the credit score of an individual based on other logical factors. One such instant loan app in India is CASHe. It has launched a social behaviour based credit rating system for salaried professionals and young salaried millennials which is called the Social Loan Quotient (SLQ). The Social Loan Quotient of any person is dependent on parameters like number of Facebook friends, public interactions on social media, the apps one has downloaded on his/her phone and the mobile phone model that one uses, education, remuneration, career, financial history, etc. Basically, the digital footprint of a person is assessed in order to know about the creditworthiness of that individual. The better the Social Loan Quotient of a person, the better rate of interest on the personal loan can be expected. Moreover, the amount of loan that could be made available to an individual will also depend on the SLQ. In order to improve the SLQ, all one needs is a smart phone and a good presence in digital space. 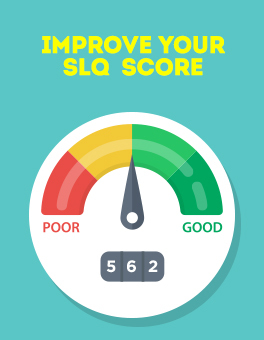 If one is active on social media like Facebook / Google+ / LinkedIn accounts, it is a major plus point for a better SLQ score. These social media accounts are accessed using industry standard access levels in order to get a picture of who a person is. In short, simple things like the number of one's Facebook friends and interactions on social media increase the probability of getting a personal loan at a decent rate of interest. So, stay social, stay ahead!